Finding a caregiver can be an enormous task. Regardless of whose being cared for, either very young or elderly, finding the right caregiver for a loved one is of paramount importance and a task that should never be taken lightly. Whether those that are being cared for live at home or in an institution, proper and thorough vetting of a caregiver may avoid potential harm and misfortune. Today’s headlines are filled with stories about abusive caregivers. From an Indiana daycare facility to elder abuse in Syracuse, New York the risk remains significant for those under the aid of a caregiver. Managing risk is the central precept of background screening. The ability to mitigate risk through careful and lawful use of public records such as criminal background records as well as thorough verification of references is of critical importance to those utilizing background checks for caregivers. In Indiana horrific details emerged as a daycare facility allegedly allowed a 1-year-old child to be beaten and severely injured. During the course of an investigation several significant violations were discovered. In Syracuse, New York a caregiver received sentencing in a case regarding her actions against a 92-year-old individual. First, she stole lots of money from the elderly woman: $24,000 when you count the fake checks, forged withdrawals and other hanky-panky, according to testimony in court today. Pierce, who couldn't pay any of it back, spent it on everything from nail treatments and Burger King to fast cash to support her drug habit, according to testimony in court today, authorities said. Second, she abused the victim, who weighed less than 100 pounds, by leaving her alone for long stretches (neighbors saw her wandering aimlessly in her backyard with a walker); taking away her Life Alert (which her family found on top of the fridge) and driving the victim to the bank and stores for the sole purpose of emptying her accounts. Caregiver abuse is a continuing crisis in the United States and will continue to appear in headlines. 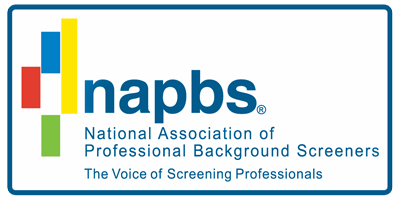 CriminalBackgroundRecords.com is a third-party background screening company that can assist any organization or group with background screening of employed or volunteer individuals. With access to numerous current and robust databases, as well as to county court records, CriminalBackgroundRecords.com can provide the most current, up-to-date, and reliable information available.